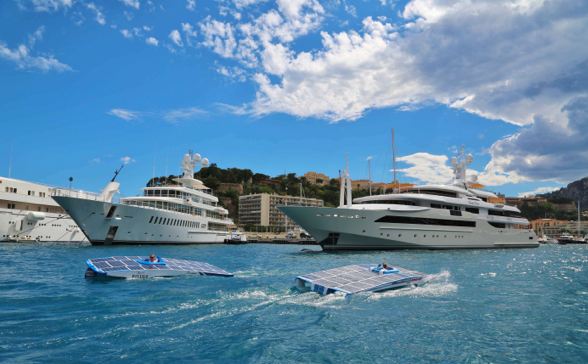 For the second year running, the Yacht Club de Monaco is set to host the Solar1 Monte-Carlo Cup from 9th to 11th July, a contest for competitive solar-powered boats, designed and driven by students from international universities. Around 20 entrants from a dozen nationalities are expected in the bay of Port Hercule, one hundred years after the first motor-boat competitions were held here. The gathering puts the spotlight on a long-established maritime tradition of innovation and commitment by the Principality and its Yacht Club to be a key player in the environmental protection field.A reminder that Prince Albert 1st, an experienced navigator, was an early pioneer not only of modern oceanography but also luxury yachting when along with royal yachts spending the winter in Monte-Carlo, he invited the world’s industrialists in 1904 to showcase their latest developments in combustion engine technology. History is repeating itself with the Yacht Club’s President, Prince Albert II, who wants to encourage a new generation of revolutionary boats that are more respectful of the marine environment. In the same spirit, Pierre Casiraghi, YCM Vice-President wanted to participate and is closely following the construction of a boat that he will drive himself. “We at Solar1 love innovations and try to support them as much as we can. 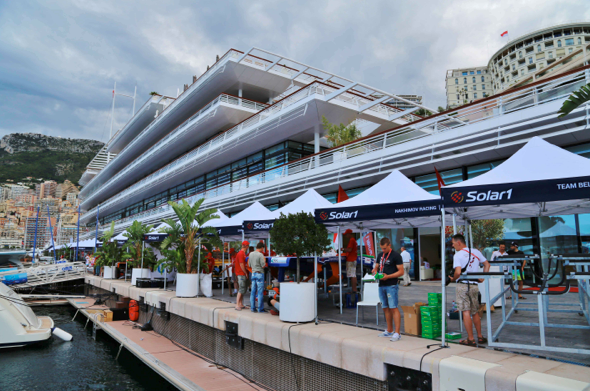 Last year we had a huge success with the first Solar1 Monte-Carlo Cup with 25 teams participating and almost 300 team members who came to Monaco from all over the world. Thanks to the Yacht Club de Monaco, we have the opportunity to continue this year and organise the latest in solar racing! 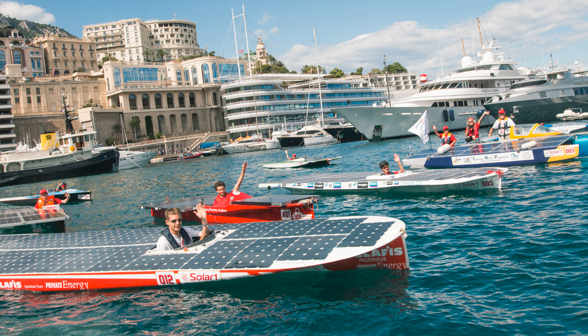 Monaco is a pioneer in giving the new generation such an opportunity, while at the same time communicating the importance of renewable energy sources to preserve our planet,” says Sergei Dobroserdov, Director of Solar1 and the man who initiated the project.For three days July 9th to 11th) these ultra-green boats, divided into two categories (A Class and Open Class), will compete in an original world championship, the Solar1 Monte-Carlo Cup, comprising three challenges held in front of Port Hercule: an endurance race, slalom and one-on-one duels, conforming to UIM (Union Internationale du Motonautisme) match race circuit rules. The future looks bright for this new discipline that combines talent, endurance and a competitive spirit. It also creates a modern image with boats that give the impression of flying over the water, capable of reaching speeds up to 30 knots – powered only by the sun. Bernard d’Alessandri, General Secretary of the Yacht Club de Monaco, says: “It seems to me essential that we encourage any initiative in favour of the future of our industry. This technology being developed by a new generation of engineers suggests it could soon be applied to leisure boats, including the biggest yachts. A promising message for the future.